Silicon Valley has a long history of providing some of the most exciting new stocks in the market. The class of 2016 tech IPOs was led by cloud services company Twilio Inc (NYSE:TWLO) and Japanese mobile app company Line Corp (ADR) (NYSE:LN). As these two stocks demonstrated in 2016, huge tech IPOs can be some of the most volatile and exciting stocks on the market. Tech investors are always searching for the next Facebook Inc (NASDAQ:FB) IPO. FB stock is now up more than 225% in less than five years since its highly anticipated 2012 IPO. 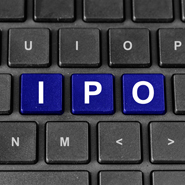 However, just because a tech brand is popular and recognizable doesn’t mean its IPO will make a good investment. A little more than three years after its much-hyped 2013 IPO, shares of Twitter Inc (NYSE:TWTR) remain down more than 60%. Here’s a look at the three biggest tech IPOs that Silicon Valley has to offer in coming years. Massive Silicon Valley IPOs: Snap Inc.
Special Report names the 21 worst stocks for the Trump Administration… and the 7 stocks gearing up for a tremendous windfall. Get the FREE BUY LIST online here. When it comes to social media, it doesn’t get much bigger than Snapchat. While investors are left to speculate about IPOs for a number of top tech companies, the Snapchat IPO process has officially begun. In November, Snap Inc. filed its IPO paperwork with the U.S. Securities and Exchange Commission. A person familiar with the matter estimates that the Snap IPO could value the company at up to $25 billion. That number would give Snap roughly the same market cap as semiconductor giant Micron Technology, Inc. (NASDAQ:MU). Of course, there are plenty of numbers would-be Snapchat investors throw around to justify its massive valuation. Snapchat currently has more than 150 million daily active users and 301 million monthly active users. More than 30% of American Millennial internet users access Snapchat regularly. A mind-boggling 9,000 snaps are shared per second on the popular app. With that kind of market presence, it’s no wonder investors see major monetization opportunities for the company. The Snap IPO could happen as soon as March 2017.